As Han Solo’s ever-faithful companion, Chewbacca isn’t afraid to follow his friends into battle. Once there, it isn’t hard to see how he can aid Rebel commanders as they attempt to capture crucial objectives or secure a foothold on the battlefield. His immense strength and personal connection to Solo, Luke Skywalker, and Leia Organa make him a natural choice to join these iconic heroes on the battlefield as an operative. Inside the Chewbacca Operative Expansion, you’ll find everything you need to add Chewbacca to your Rebel army in Star Wars™: Legion. A single unpainted, easily assembled miniature depicts Chewbacca roaring into battle, his trusty bowcaster at the ready. 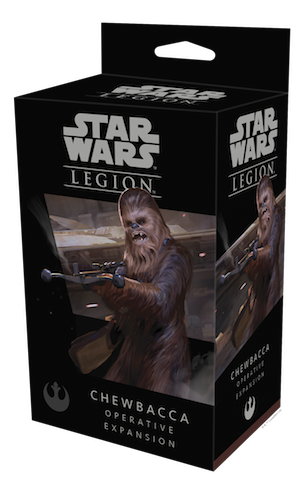 Three upgrade cards provide more tools for preparing Chewbacca and your other units for battle, and three command cards can add more variety to your hand, allowing Chewbacca to team up with the three Rebel commanders. Pick up your copy of the Chewbacca Operative Expansion at your local retailer or online through our website today! 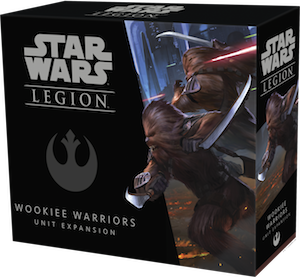 Within the Wookiee Warriors Unit Expansion for Star Wars: Legion, Rebel generals will find everything they need to add a group of Wookiees to their army as a special forces unit. Four unpainted, easily assembled miniatures display the Wookiees charging into the fray brandishing their Ryyk Blades, while five unique upgrade cards can prepare them for whatever they may face on the battlefield. Pick up your own copy of the Wookiee Warriors Unit Expansion at your local retailer or online through our website today! 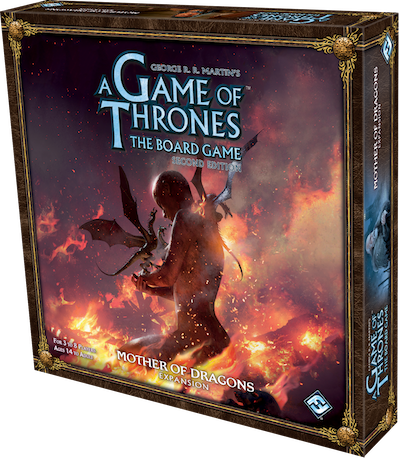 Pick up your own copy of Mother of Dragons at your local retailer or online through our website today! This 3' x 3' slip-resistant gamemat immerses you in the twisted world of Arkham Horror, providing a full space to lay out the sprawling labyrinth that is the city of Arkham. Not only that, but the mat is the perfect way to organize your game, with room for the board in the center of the mat, and the various components found in the game on the edges. When dealing with Ancient Ones, every resource is precious and every tool a valuable light in the dark. 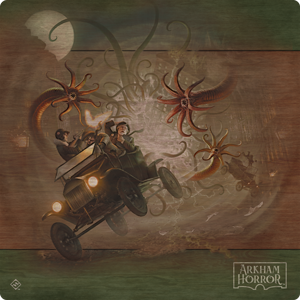 Make sure your investigators have the tools they need to succeed with the Arkham Horror Third Edition Gamemat! Pick up your own copy of the Arkham Horror Third Edition Gamemat at your local retailer or online through our website today!